Cool image time! In the June release of images from the high resolution camera on Mars Reconnaissance Orbiter, I came across the image on the right, cropped slightly to post here, of a pit in a region dubbed Hephaestus Fossae that is located just at the margin of Mars’s vast northern plains. Below and to the right is an annotated second image showing the area around this pit. If you click on it you can see the full resolution image, uncropped, and unannotated. 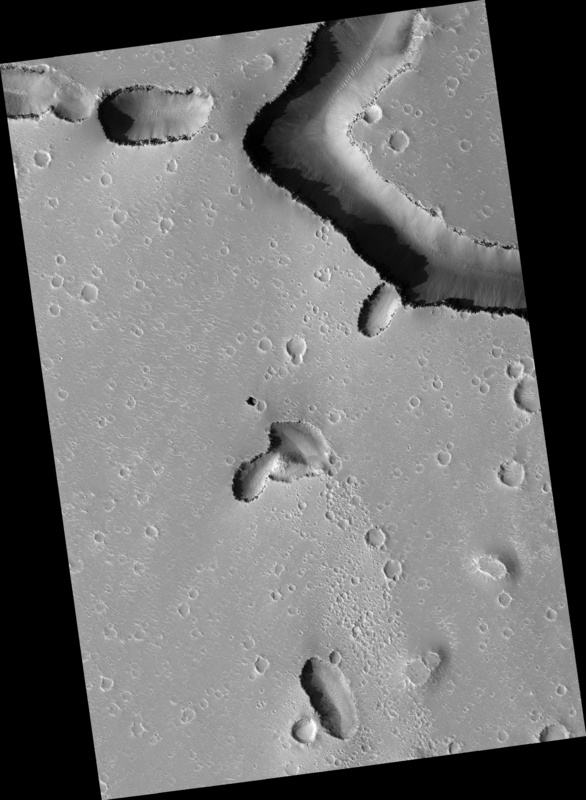 The scale bar is based on the 25 centimeter per pixel scale provided at the image link. Based on this, this pit is only about ten to fifteen meters across, or 30 to 50 feet wide. The image webpage says the sun was 39 degrees above the horizon, with what they call a sun angle of 51 degrees. Based on these angles, the shadow on the floor of the pit suggests it is about the same depth, 30 to 50 feet. The shadows suggest overhung walls. This, plus the presence of nearby aligned sinks, strongly suggests that there are extensive underground passages leading away from this pit. For a caver on Earth to drop into a pit 30 to 50 feet deep is nowadays a trivial thing. You rig a rope (properly), put on your vertical system, and rappel in. When you want to leave you use that same vertical system to climb the rope, using mechanical cams that slide up the rope but will not slide down. On Mars such a climb would be both easier and harder. The gravity is only one third that of Earth, but the lack of atmosphere means you must wear some form of spacesuit. Moreover, this system is not great for getting large amounts of gear up and down. Usually, people only bring what they can carry in a pack. To use this Martian pit as a habitat will require easier access, preferable by a wheeled vehicle that can drive in. The pit’s location however is intriguing. 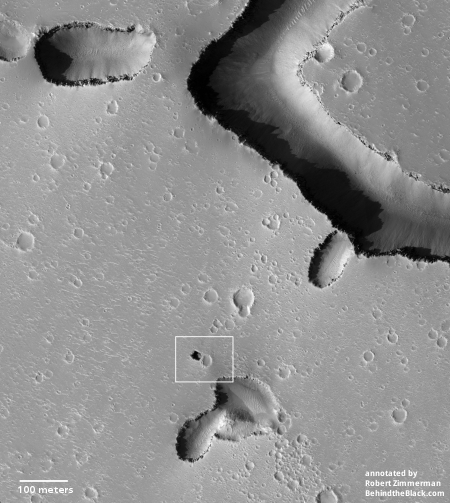 The map below shows its location on a global map of Mars. 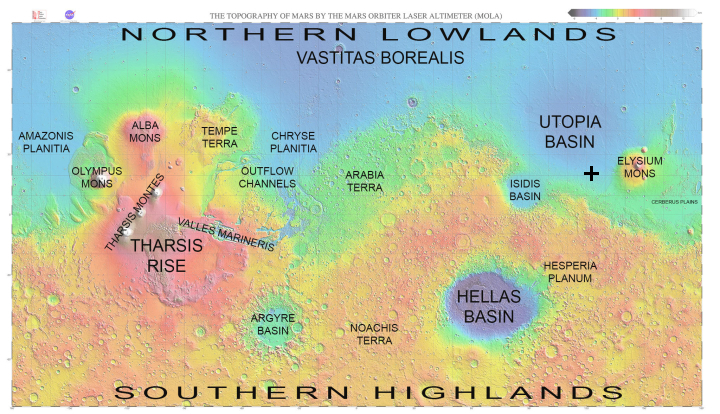 This region is part of the Utopia Basin, the place with the second lowest elevation on Mars. If you go to the Mars Reconnaissance Orbiter image archive and zoom into this area (latitude 21.5; longitude 122) you can find a variety of images of similar nearby northern plains features, many of which I have highlighted previously, lines of mesas and especially cones, craters, and pits. This second link shows a line of sinks very similar to sinks above, located in the same general region as today’s pit. The geology here suggests that the northern plains, at least here, have a lot of underlying passages. From a caver’s perspective, this makes great sense, especially if that northern plain was once an intermittent ocean. When the water table was high, it would not be surprising if that water acted to erode voids in fissures and cracks, producing caves below that table. When the water table dropped, these voids would lose the water that was helping to hold their ceilings up. There would be collapses, resulting in sinkholes on the surface. This is exactly what we see here. On Earth, sinkholes only occur in a few places above the cave. Most of the cave below remains invisible to the surface. I would not be surprised if this was the situation on Mars as well. The pits and sinkholes only provide a glimpse to the underlying cave system, which I suspect is somewhat vast. It will also provide crucial information, once we can fully explore it, for understanding the geological and environmental history of Mars. Bob, this sounds like a Central American cenote – especially the overhang – which is caused when water forms a cavity in the limestone bedrock and the roof eventually collapses. I’m not saying limestone exists on Mars (on this planet it comes from eons of shells of microscopic sea life being compressed to form rock), but perhaps water carved out cavities in the Martian soil to form these pits. Col Beausabre wrote: “Also, in the Army we referred to a ratcheting mechanical climbing device like you describe as a ‘Prusik'”. Heh. I am not surprised the Army is outdated or a little inaccurate in its terminology. Prusik is the name of a very specific knot that does what these climbing devices do, slides up but then locks when weight is applied. Prusik knot systems have been used to climb ropes by cavers and rock-climbers since early in the last century. 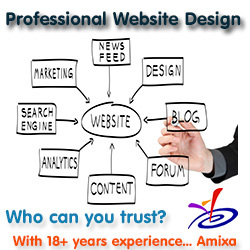 They work, but they are a pain to use, work slowly, and eat up a lot of energy in their inefficiencies. In the 1960s and 1970s cavers led the way in developing climbing systems that superseded the difficult-to-use prusik knot. These systems used these mechanical cams, and today are generally referred to as “ascenders”, not “prusiks.” With a good system, one could easily climb 3 to 10 times faster than with a prusik system, and far farther. The cenotes of Central America are of course similar to what I describe, but I was being more general. Cave systems form in many ways, and since it will not be limestone in which they form on Mars, the process will certainly be different. My description was trying to recognize this. My Dad was a caver “back in the day” and went on a trip to the “pindus mountains” in Greece to attempt the world depth record… I recall his coils of metal wire ladders… And also recall him teaching me how to climb them “back and front” ( one leg behind the rungs, one in front, to avoid swinging the narrow things out at horrible angles)…. I also remember his words of disdain for SRT ( single rope technique ) , which was ( in the UK at least) , a new innovation during his time as a caver…. Lee S: Your Dad was clearly British, who have stayed faithful to cable ladder use for decades. I myself like cable ladders in many situations, and think there are many times they are far better than single rope techniques. However, each tool has its proper use. Rope techniques bypassed cable ladders for long drops very quickly, and in fact, made accessing the bottoms of deep pits possible. You couldn’t cable ladder a 1200 foot drop, for example. Mad Dogs & Englishmen Huh! I think it is a NIAC (advanced innovations) project that NASA is running (for <$1M) that is investigating how to land directly inside of a lava tube on the Moon or Mars through a skylight. I think the same suggest using a small rocket propelled hover craft to explore a cave. Bob, are drones used in cave exploration? Communication is a problem, but nowadays they can be autonomous enough.